Black Friday 2018 Starts Now! Save Big! This is my first Black Friday Sale since I started offering my straps this year. I have some awesome combo bundles and big savings! 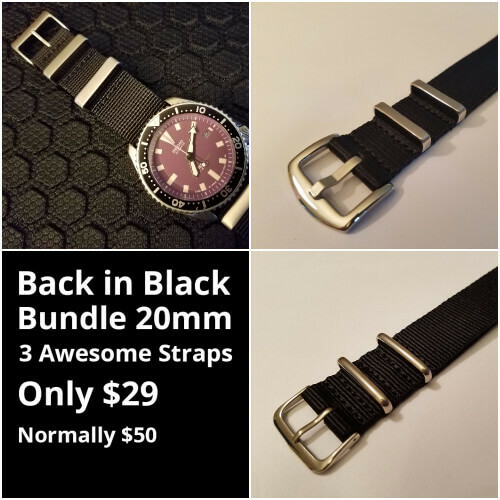 Grab an Ocean Dog Black Premium Watch Strap, Ocean Dog Black Seat Belt Watch Strap, River Dog Black Watch Strap Bundle in 20mm, or 22mm. No coupon code needed. 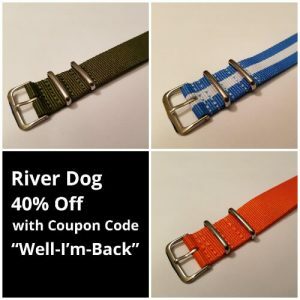 Big Savings on an Ocean Dog Black and Blue Seat Belt Watch Strap, Ocean Dog Black and Gray “Bond” Premium Watch Strap, and a River Dog Gray Watch Strap. The bundles are in 20mm or 22mm. No coupon code needed. 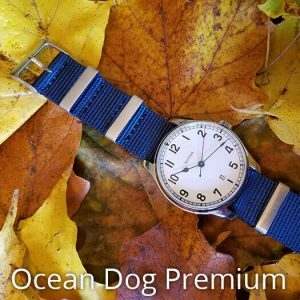 The Ocean Dog Premium Watch Straps heavy-duty, high-quality nylon and have durability in mind. The premium 304L stainless steel hardware features a stainless steel buckle and flat stainless steel keepers which, are a matte finish. The matte finish is a cross between a polish and matte so it goes great with almost any watch. These are amazing straps! 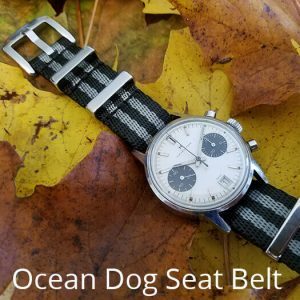 The Ocean Dog Seat Belt Watch Straps are heavy duty high-end luxury nylon straps. The strap has high tensile strength nylon webbing with deluxe polished hardware, including a premium 304L polished stainless steel hardware seatbelt style stainless steel buckle and flat stainless steel keepers. The nylon is weaved to provide a softer feel with a higher sheen than standard nylon straps. The Port Perlon Navy Blue Watch Strap is a classic perlon strap and you get a premium spring bar tool with extra tips free. I’ve been too long I’m glad to be back. If you purchased from me before, thank you so much! Enjoy some big discounts! If you came here from the Giveaway on /r/WatchExchange from Halloween thank you for participating. I love when giveaways happen. They help keep our community awesome. Is it your first time shopping on my website? All US orders ship United States Postal Service (USPS) First Class Mail. Shipping is free for orders over $25, or $5 flat rate shipping for orders under $25. I now ship to Canada! I am a watch enthusiast and I want you to be happy with your purchase. 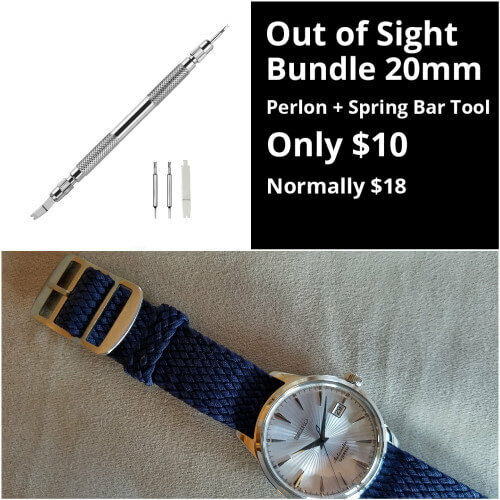 I offer returns or exchanges on any new unused strap or watch accessory with-in 30 days from purchase. Not that you will need it since I have not had a single return yet.